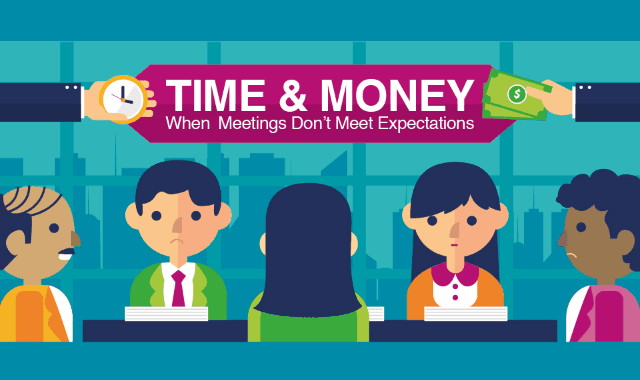 What You Should Do When Meetings Don’t Meet Expectations #Infographic ~ Visualistan '+g+"
Meetings are a necessary evil. While they can and do accomplish plenty, meetings aren’t always productive. And they’re costly too: The U.S. Bureau of Labor Statistics estimates that unnecessary meetings cost $37 billion every year. But by defining the type of meeting you’re having, establishing ground rules, and inviting only who you need to, meetings can accomplish what they’re intended to. Don’t assume all is said and done when the team leaves the conference room either. Following up and analyzing results will help save time, too. Check out the infographic below to identify more meeting mistakes and learn how to hold more effective, successful meetings.